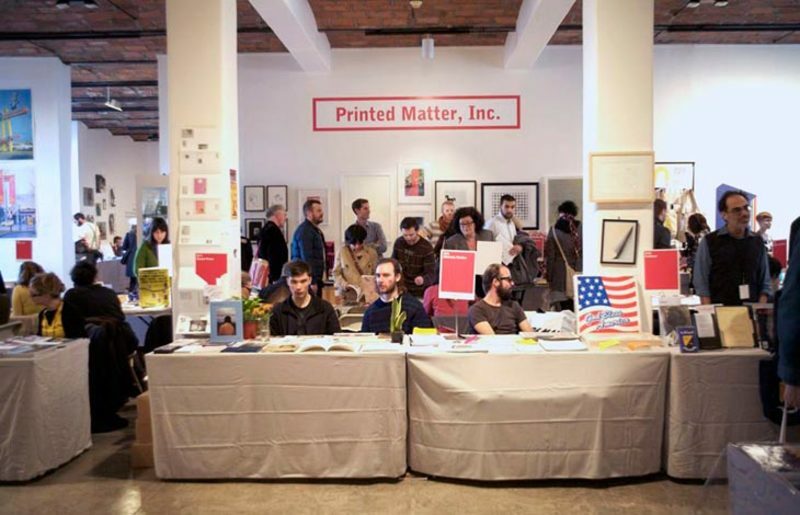 Organized by Printed Matter, the sixth annual New York Art Book Fair presented a range of more than 200 exhibitors from twenty-one countries: independent book publishers, specialty dealers—both national and international—as well as a series of artist book-focused lectures, conferences and public initiatives which took place over the course of the fair's interim. Smaller presses, over sixty different art zines, emerging and experimental curatorial projects such as Badlands Unlimited, Dispatch, Kaleidoscope and Soberscove Press existed alongside larger, more established presses and magazines such as e-flux, Ugly Duckling Presse and Yale University Press which gave interested enthusiasts opportunities to locate both mainstream art catalogs and niche varieties: handmade books, limited editions, vintage paraphernalia, out-of-print books, select art items in the form of prints, unbound, experimental books in carefully designed vessels and boxes as well as intriguing versions of photography, image and cinema-focused books which seemed deliberately present. For the eager collector and connoisseur, the fair aspired to offer at least one cherished item for every appreciator. A book-signing table near the front entrance was readily in action, where emerging and established writers such as Zachary Drucker, Anouk Kruithof, Zoe Leonard and Anna McCarthy were encouraged to engage with fans and consumers alike. There were several exhibition rooms filled to the brim, a breezy tent in MoMA PS1's courtyard and a gleaming Airstream parked with novelty items. The book fair's two-day conference provided lectures and panel sessions such as “Furthering the Critical Dialogue,” “Pedagogy: Artists' Books in the Juvenile Justice System,” “Radical Print: Samizdat & the Artists' Book” and “Focus on Latin America” along with curated classes, workshops, readings and discussions organized by David Senior of the Museum of Modern Art—some of these: “Old News,” “Crystal Flowers,” and “I Have Nothing To Do and I'm Doing It.” An artist-zine-specific variation of Pecha Kucha took place during the end of the first day's events—perhaps a relief for those who prefer more casual yet compact presentations of information. Screenings and performances also transpired, such as the video screening Hyperborean-room ballads, a slideshow-reading by Kim Rosenfield and Erica Baum of Baum's Dog Ear and Ed Schrader's Music Beat: an unpredictable strain of minimal punk. This event seemed to place national allegiances on the shelf; there appeared to be a universal cosmopolitan sentiment when roaming from booth to table to lecture hall, being exposed to the creative offshoots and voices of those from all over the world. A mutually shared affinity for the book as both art-object and messenger of new ideas primarily mattered the most—diverse voices intermingled without constraint. The printed highlights (for me) were: Where Art Belongs by Chris Kraus, Animals That Saw Me by Ed Panar and an ironic wedding album illuminating an askew, visual narrative of sullied newlyweds—less than pristine in the midst of their celebration, bordering on white trash yet unabashedly blissful. This book fair aspires to encourage more involved debates and informed conversations about how both books as printed matter, words presented in their alternative artistic forms and technological versions have evolved over the course of history and continue to influence the mindsets of creative individuals, academics, philosophers and visionaries alike. Various participants came a long way to present their literary works and perspectives, and their presence was greatly appreciated by those who may find themselves uninterested in what any particular local literary scene presents, some even being bored with certain insular patterns of creation (as well as repetition and regurgitation) which are caused, quite simply, by not enough raw intermingling of new ideas. Some of these international voices are Sims Reed (United Kingdom), Silverbridge Editions (France), split/fountain (New Zealand) and Torpedo Press (Norway). This is strongly perceived by many—especially devoted readers, writers and artists—to be an event which carries just as much importance as more popular, widely received art fairs and biennials. The fair encourages direct participation through its ongoing curated events and by having a non-biased, open-ended policy which promotes both established presses and smaller projects and zines simultaneously. It is doubtful that any other region of the world can, in good conscience, continue claiming that the United States falls short regarding quality book production, literary stimuli and related thoughtful events. Yet there was an observed shortage of contemporary literature in translation and bilingual editions which can be interpreted in many ways—some interpretations harsher than others. Image courtesy the New York Book Fair.